‘Artist in Residence’ Monika Mihalyfi has been selected to show her new work ‘Glowing Vessels’ at the prestigious Worcestershire Bevere Gallery. This new body of work is a series of contemporary hand-thrown ceramic vessels made of porcelain. In daylight they stand pure white and in the dark when lit from within they glow illuminating the patterns. I was greatly inspired by the phenomenon, when the sky is hazy although no clearly defined clouds to be seen and the Sun trying to break through. The purity of this image taken me many times and slowly made the connection in me with the image of light, as they say or how I imagined, supposed to see through meditation. It also made the connection how porcelain looks with light behind. Designer and maker Paul Floyd gets selected for prestigious and historically important ‘Back to The Future’ exhibition at Broadfield House Glass Museum. To celebrate the 400th anniversary of glassmaking in the Stourbridge area and the International Festival of Glass 2012, this exhibition seeks to explore the world-renowned glass collections and archives at Broadfield House Glass Museum and show how inspiring these collections are to contemporary West Midlands glassmakers. The selected glass artists were allowed to pick anything in the collection for their inspiration. Items that were selected as inspiration are exhibited alongside the artists new work. ‘Back to the Future’ is an exhibition of new work by contemporary West Midlands glass artists at Broadfield House Glass Museum and runs till 27 January 2013. 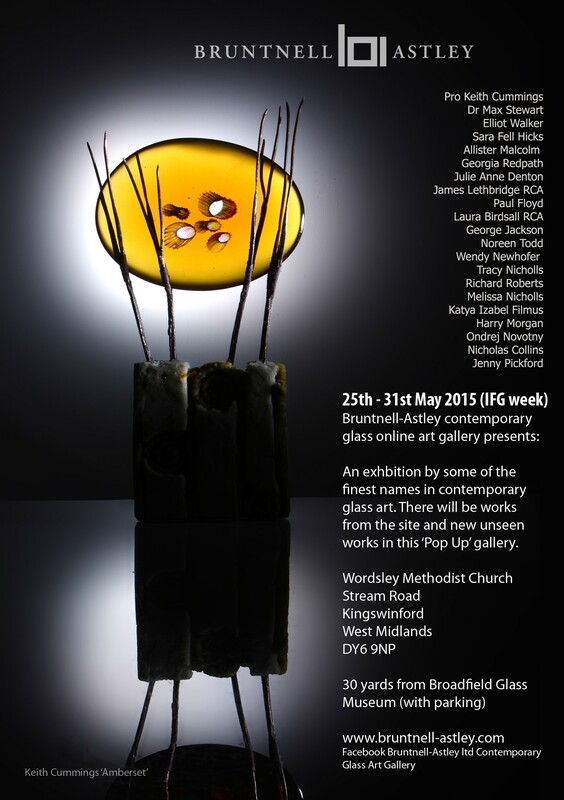 The exhibition is sponsored by Interiors & Lifestyle Futures and the Friends of Broadfield House Glass Museum. Photography by Simon Bruntnell. Paul Floyd and Monika Mihalyfi of Transparent Glass Studio are exhibiting their glass art and ceramics alongside their fellow resident artists at the Harding House Gallery in Lincoln. The exhibition ‘Glass from the Centre’ showcases the work of artists and designer/makers based at the Ruskin Glass Centre in Stourbridge, West Midlands. This is the first in a series of exciting exhibitions marking the 400th year of glass-making in Stourbridge. The exhibition runs from June 9th 2012 until July 14th 2012. The gallery is open every day from 10am – 5pm, and 11am – 4pm on Sundays (Except Christmas Day, Boxing Day and New Year’s Day).